By now, most have heard about the "caravan" of asylum-seeking migrants, who recently reached the end of a month-long journey to California's southern border. About 1,200 people were part of the group when it started; today, just 200 sit in limbo in Tijuana. The AP reports that a U.S. Customs and Border Protection Commissioner told the asylum-seekers that the San Ysidro border crossing had reached its capacity: an announcement that some found surprising, considering that the border inspection facility has a capacity of about 300 people. When asylum seekers can formally apply isn't clear. 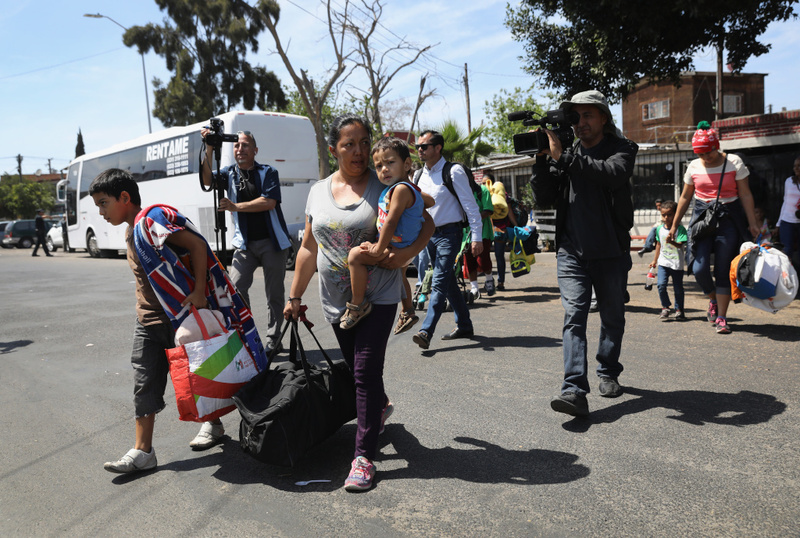 What is plain, however, is that the men, women, and children who do request asylum in the US face some very long odds: about 80 percent of applications are denied, says Niels Frenzen, director of the USC Gould Immigration Clinic. The reason that, ultimately, 80 percent of Central Americans seeking asylum are going to be denied if they get to the immigration judge hearing is that they can't show that the harm is linked to a protected factor like race, religion, nationality, political opinion, or membership in a particular social group. They can show they're being threatened or they have been severely harmed; they just can't link it to something that is protected by the refugee laws.